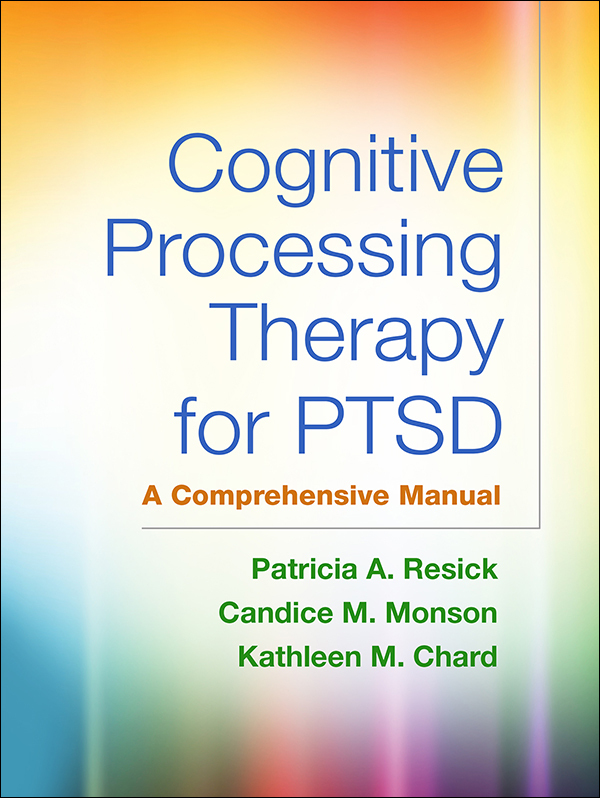 The culmination of more than 25 years of clinical work and research, this is the authoritative presentation of cognitive processing therapy (CPT) for posttraumatic stress disorder (PTSD). Written by the treatment's developers, the book includes session-by-session guidelines for implementation, complete with extensive sample dialogues and 40 reproducible client handouts. It explains the theoretical and empirical underpinnings of CPT and discusses how to adapt the approach for specific populations, such as combat veterans, sexual assault survivors, and culturally diverse clients. The large-size format facilitates photocopying and day-to-day use. Purchasers also get access to a Web page where they can download and print the reproducible materials. CPT is endorsed by the U.S. Departments of Veterans Affairs and Defense, the International Society of Traumatic Stress Studies, and the U.K. National Institute for Health and Care Excellence (NICE) as a best practice for the treatment of PTSD.